Check out a press release about Homecrest's new Aurora Natural Series fire table (pg 11) and a photo of Todd Wingrove and Tim DeJong at the HPB Expo (pg 52). Click here to view the featured Homecrest images and view the entire Patio & Hearth Products issue here. Check out a press release about Todd Wingrove (pg 10) and Homecrest featuring 100+ Fire Tables at HPB Expo (pg 92). WADENA, MN - Homecrest Outdoor Living, an American casual furniture manufacturer, will be showcasing its made in America products at HPB Expo in Nashville, held at the Music City Center in March. Homecrest offers a variety of casual outdoor seating and dining products and this year launched several new fire table options. With a rich history of excellence and stylish designs, Homecrest offers affordable and comfortable living for outdoors. Homecrest will be showcasing their new 2015 fire table and seating collections at the show. Check them out at Booth #2939 at the expo, from March 5-7, 2015. Under new leadership, Homecrest is revitalized through innovation and efficiency. 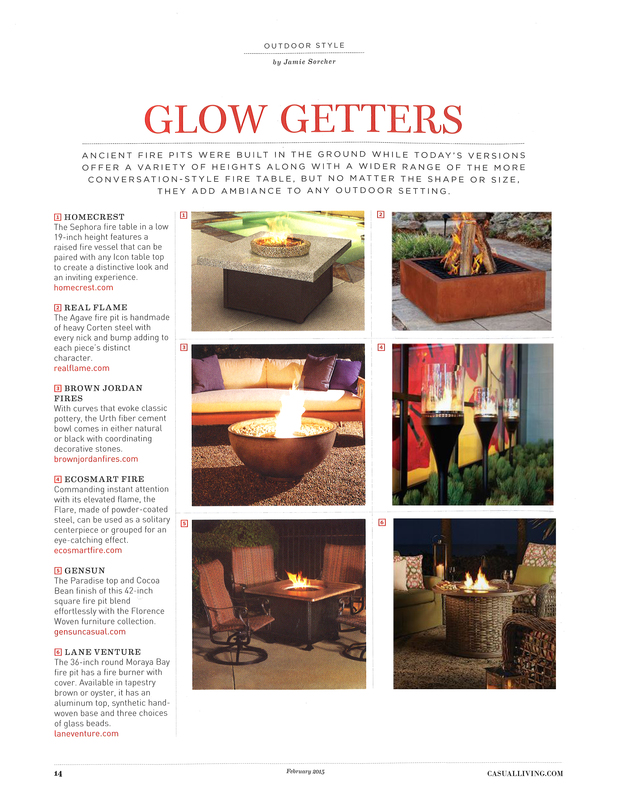 Check out Tim DeJong, Mike Bullinger, Michael Mettendorf, Kelly McComb, Stacy Brichacek and Marilou Heltemes at Market (pg 59), Grace Sling collection (pg 64) and Sephora Fire Tables (pg 75). Check out Homecrest's Lana collection with Lunar fire table in the "What Sells" section of Home Furnishings Business magazine (pg 38). 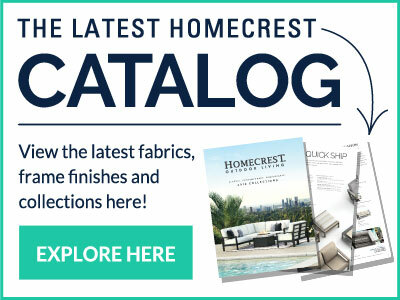 Click here to view the featured Homecrest images and view the entire Home Furnishings Business issue here.